Rodina Mat - The Motherland Calls. She’s hard to miss. 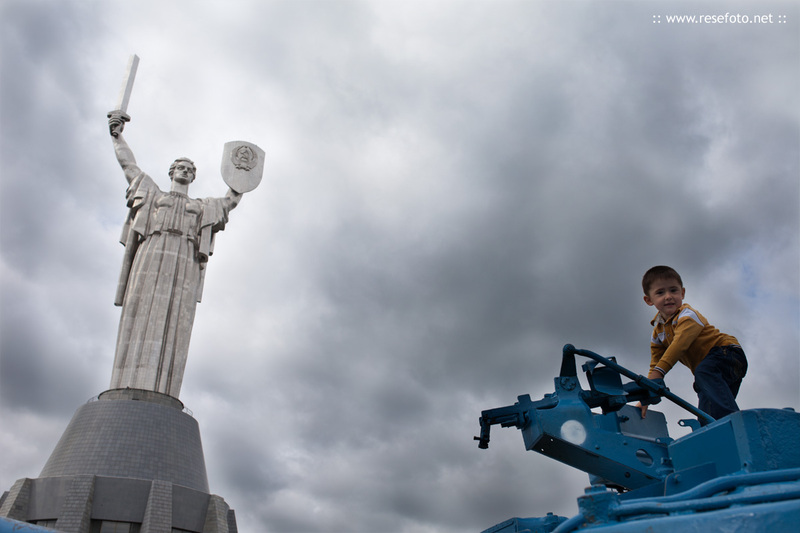 Perched on the hills of Pechersk, the tall metal figure representing the might of the Soviet Union glistens in the sun on the approach into the city from the left bank of the Dnipro River. Her sword and shield serve as a permanent warning to any ill-wishers. 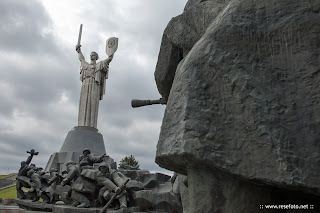 Rodina Mat, or Mother Motherland, is part of the World War II complex that includes a war museum with several exhibitions, Rodina Mat statue and Glory Park. The complex opened in 1981 by longtime Soviet Union leader Leonid Brezhnev.